The way of the Sword presents new opportunities for those interested in martial arts. Kum Do\ Kum Bub is a uniquely rewarding class because it is taught as a separate discipline. Those with no martial arts experience can enjoy the full benefits of the class. However, for the same reason the class offers a new challenge for experienced martial artist to expand their knowledge and skill. The class has two focuses, Kum Do and Kum Bub. First, Kum Do the art of the sport or bamboo sword which is called a “juk do.” Kum Do uses both the juk do and armor, which allows for practitioners to safely spar and practice with contact. This style of practice began around the 18th century allowing more experimentation without injury thus helping to develop more effective technique. Next, Kum Bub the art of real sword. 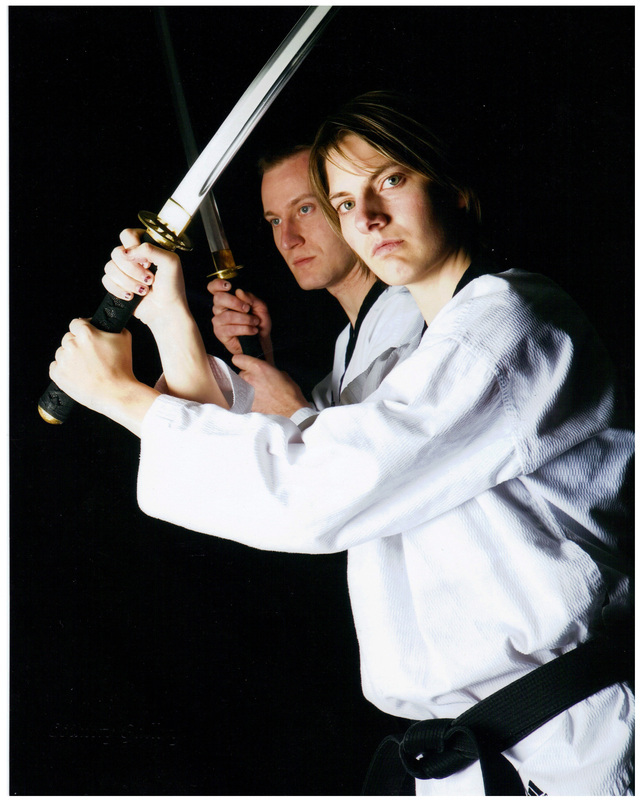 However, students are not allowed to train with a sharp sword until the have made their black belt and the instructor feels that they have the proper attitude and focus. When practicing these techniques students use a wooden sword or “mok gum.” When practicing Kum Bub students learn various techniques for drawing or putting away the sword, proper stances, cutting techniques and poomse (or Patterns) for their rank. In Kum Do/Kum Bub your training begins with your attitude. When training with a weapon 100% of your focus is required. A weapon is an extension of our body therefore we need to learn to be aware of it. This is done not just to become more proficient with the weapon but to also ensure safety in the dojang. Training with this type of focus allows students to leave the stresses and disruptions of daily life outside of the dojang and take some uninterrupted time for themselves.